Reliable Engine Power – The Pacifica provides you and your family with steady power via a 3.6L V6 engine that promises a best-in-class 287 hp while also promising superb efficiency as well, realizing 18 mpg in the city and a wild best-in-class 28 mpg on the highway. 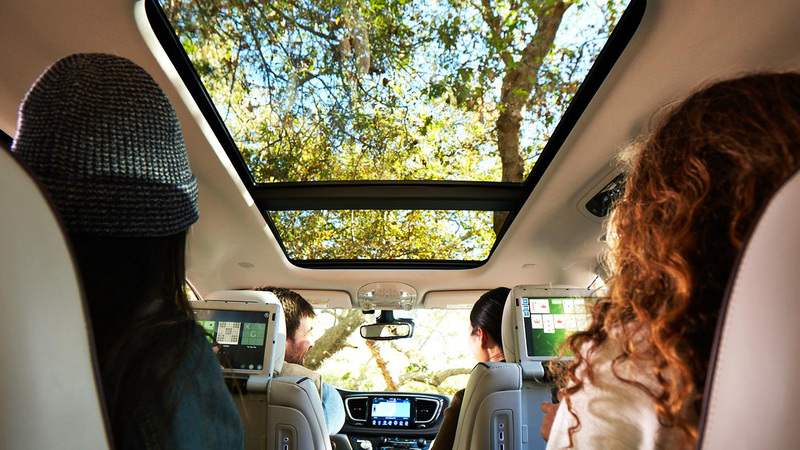 Clean Driving – For eco-conscious families, though, the Pacifica also allows you to outfit it with an EV battery, transforming the SUV into a hybrid vehicle and enabling it to get as many as 80 mpg(e). Test Drive the New 2017 Chrysler Pacifica Today! But there’s no need simply to take our word for this. Simply stop by Sorg CDJR today in order to test drive the greatest family car presently on the market, the 2017 Chrysler Pacifica. You can find our dealership at 2845 North Detroit Street in Warsaw, or you can also give us a phone call anytime at 574-267-5850 in order to arrange a test drive as soon as possible. Don’t miss your chance to take this phenomenal car out on the road yourself: visit Sorg CDJR today!